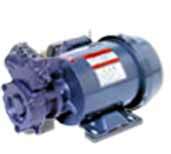 NIKUNI represents a more than seventy-year-old famous Japanese origin of industrials pumps, widely sold and well accepted in Japan, China, South-East Asia, Europe and USA. Nikuni industrial pumps consist of four major catagories: a. Regenerative turbine pumps for small flow high head applications; b. Centrifugal pumps for big flow and corrosive liquids; c. Liquid ring vacuum pumps and compressors for feeding and compressing toxic and corrosive gases; d. Multi-piston diaphragm pumps for transferring corrosive and viscous slurry liquids. Nikuni productsare engineered to top-level design technologies as well as major industrial standards like ISO, JIS, GB and API. They are proved to be rugged, durable and dependable in applications in such industries like petro-chemicals, fine chemicals, pharmaceuticals, power plants, metallurgies, universal industrial machineries, water treatment, food & beverage industries, micro electronics, etc. NIKUNI production facilities are equipped with automatic CNC machines, state-of-the-art machining procedures and computer-aided hydraulic testing equiment, which are reinforced with strict and effective product quality guarantee systems and customer-friendly pre-sales & post-sales services. NIKUNI workshops in Japan has maintained ISO14001 & ISO9001 certifications and its workshop in China has maintained ISO9001 certification. 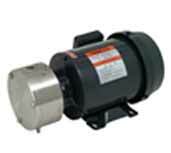 NIKUNI experience in the design and manufacture of the world's best pumps is at your disposal. 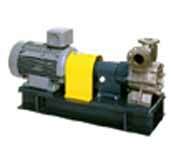 Our engineers are sales staff are dedicated to satisfy your needs of pumps and related services. Do not hesitate to come to us anytime.